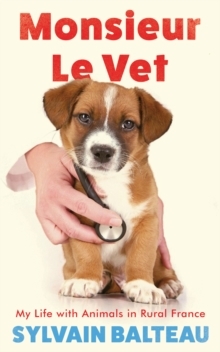 The hilarious, poignant and sometimes bizarre stories of an extraordinary vet in rural FranceSylvain Balteau works as a village vet in the Pyrenees. Equally at home with a sick hamster as with a pregnant Charolais cow, he is permanently on call, immersed in the daily dramas of animals and their people. Since 2007 he has kept a blog, revealing the hidden side of a vet's work and the rich variety of French rural life. As well as caring for the usual puppies and elderly cats, he tries to save a man's pet piglet and patches up hunting dogs after the annual wild boar hunt. Then he can be found carrying a newborn calf into a remote farmhouse to warm up by the fire, or pleading with a farmer's wife on the verge of a heart attack who insists that the vet see her sick cow first ... Through his work with their animals, Sylvain gains a privileged insight into the people who live with them. In this profound and unsentimental book, he discovers that, in order to love animals, you can't help but love people as well.